When it comes to social networking there's little doubt that Facebook is the largest and most influential of the social networks online. It has more than 500 million registered user and, at the time of writing this, the average user is connected to 80 community pages, groups and events. For businesses this means that a Facebook page or other piece of Facebook real estate is a serious way to generate social and viral traffic, but only if it is done well. There are 900 million objects that people interact with which means, first and foremost, yours needs to stand out. It either needs to provide something that others don't (unlikely given the amount of competition) or it needs to do what it does better than the competition. One of the most common mistakes by small businesses is believing that Facebook traffic is a quick hit; it can take months to build up a decent sized list of fans that avidly read your content, but there are some steps you can take to help attract greater numbers. Fortunately, there is an extensive platform on which you can build unique Facebook pages and interact with existing and potential readers and your business needs to make the most of these in order to generate the best possible results. 1. Be Unique Not Generic - There is a lot of competition on Facebook, regardless of the type and topic of content that you're providing. Ensure your Facebook page really stands out by creating a unique design. You don't have to have the standard Facebook page design and you can implement all sorts of features that help your visitors recognize you as a leader in your field. You can also serve different landing pages to different visitors. For example, fans and first time visitors to your page do not need to see the same thing and Facebook offers the functionality to change these settings. Show a page that encourages non-followers to fan your page, and show the main content to those that have already done so. Provide incentives such as coupons for your products or services, or free resources like Ebooks and other giveaways, to members that have not yet clicked to follow your page. 2 . Use Giveaways - Giveaways have long been and continue to be one of the most effective branding and promotional techniques there is. 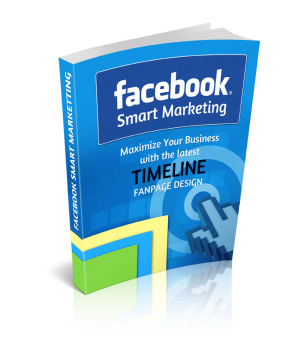 Ebooks, gift items, and coupons are just some of the Facebook-specific items you can provide to those that are willing to sign up for your Facebook fan page. You can provide regular giveaways to members to ensure that people follow you over time and as an extra incentive for becoming what is essentially a subscribed member of your fan page. 3. Use Competitions - Competitions can generate even more buzz than a giveaway. If you place a financial value on each of your fans, then you can calculate a decent prize to give away. It could be one of your products or services or something relating to one of your partners. Make sure that it is related to the content you provide as well as the products or services that you promote. Competitions can go viral too, so encourage your readers to spread the word with their friends - you can even build this into the competition by offering extra prize draw entries for each friend referred to your page. 4. Get Personal - Facebook is first and foremost a social network. The fact that it can also be used to help promote your business is an added benefit, but users are predominantly on the site because it allows them to connect with others and hunt down content that they are interested in. It is, therefore, a personal experience and your readers will for the most part want to believe that they are dealing with real people. Add a large photo to your Facebook page. If you organize events or can take photos of your visitors some other way then do so, and tag the people in those photos. It is possible to let readers upload their own photos and tag themselves (I would of course watch this carefully, but it can be a great way to get people involved). 5. Say Thanks - A little "thank you" can go a LONG way. As soon as somebody becomes a fan send them an unobtrusive message thanking them for becoming a fan and welcoming them to the fold. The message doesn't need to be long and it can be automated, but remember, people buy people, so a little personal touch will go a long way! 6. Don't Give Up - Don't be surprised if your Mom and your Sister are your only fans after a few days of adding content and personalizing your page. It does take effort to develop a high quality Facebook fan page. Keep posting, keep updating, keep testing, keep evolving, and keep trying - don't' give up! Facebook is the largest social network online having surpassed half a billion users. While competition is fierce, if you can master the art of creating a popular and beneficial Facebook page then you can also master the art of generating social traffic and your marketing message can go viral producing massive returns in the long run.